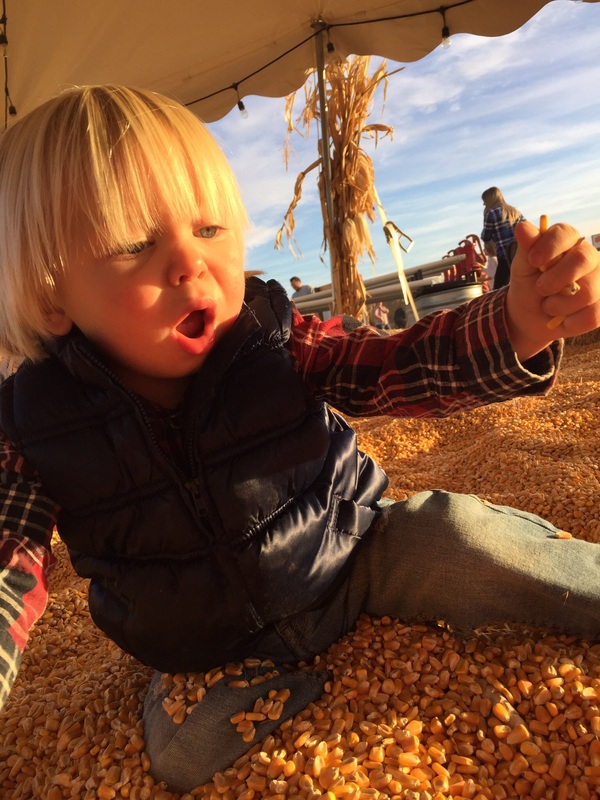 I am so happy to have finally gotten to a holiday where Eli is starting to participate and enjoy it, October could not have been a more fun month! We started out our month with apple picking; resulting in apple pie, caramel apple pie ice cream sandwiches (coming later this week!! ), apple/peach breakfast bake and a new tradition. 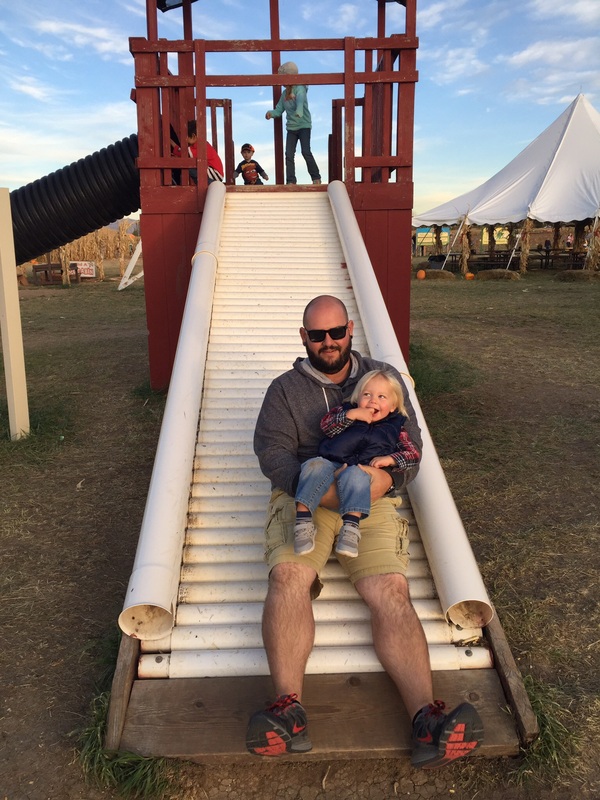 The pumpkin patch (The Farmstead) was a blast although we went a little late in the season this year, so it was considerably chillier than last year, but Eli ran around everywhere and loved it! 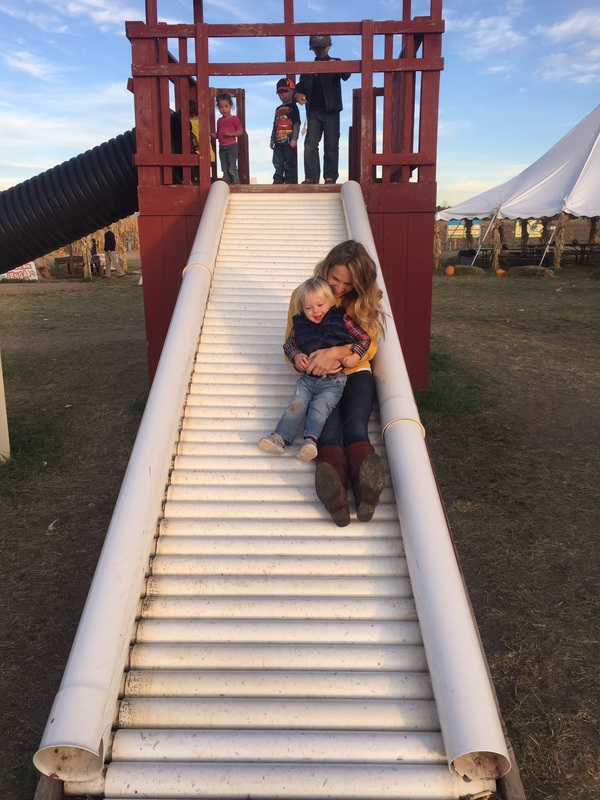 We fed animals, played in a corn kernel pit (similar to a sandbox), rode in a tractor, went down all the slides, and picked pumpkins. 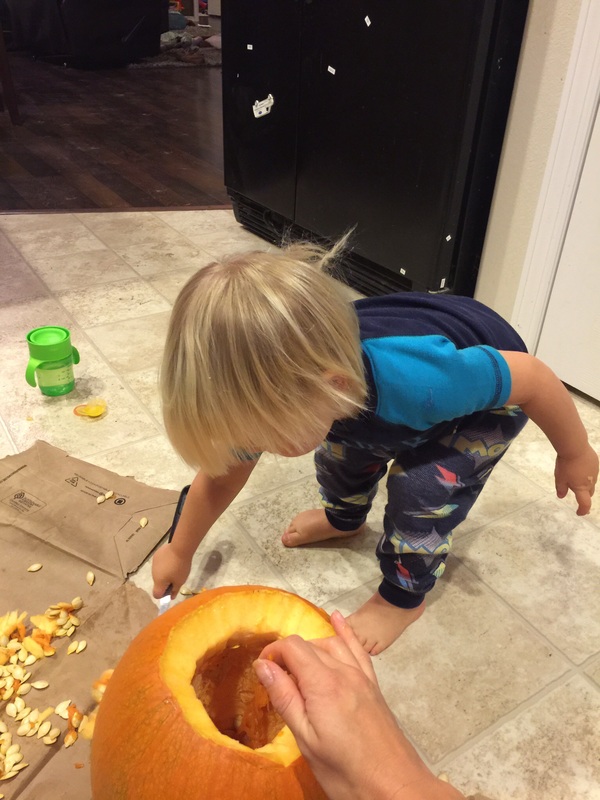 While I love pumpkin carving, it seems until about age 5? 6? 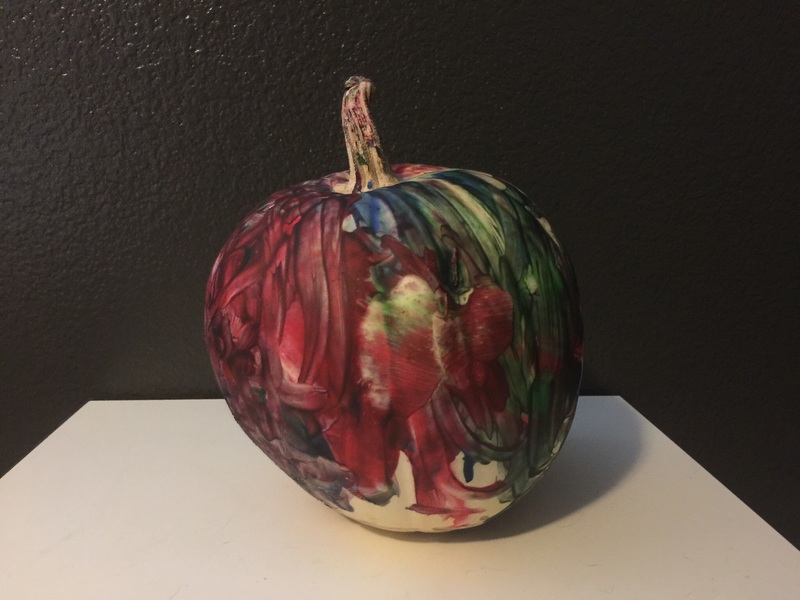 pumpkin carving with kids is a lot of work for parents and not a ton of fun for kids, thus the painted pumpkin. 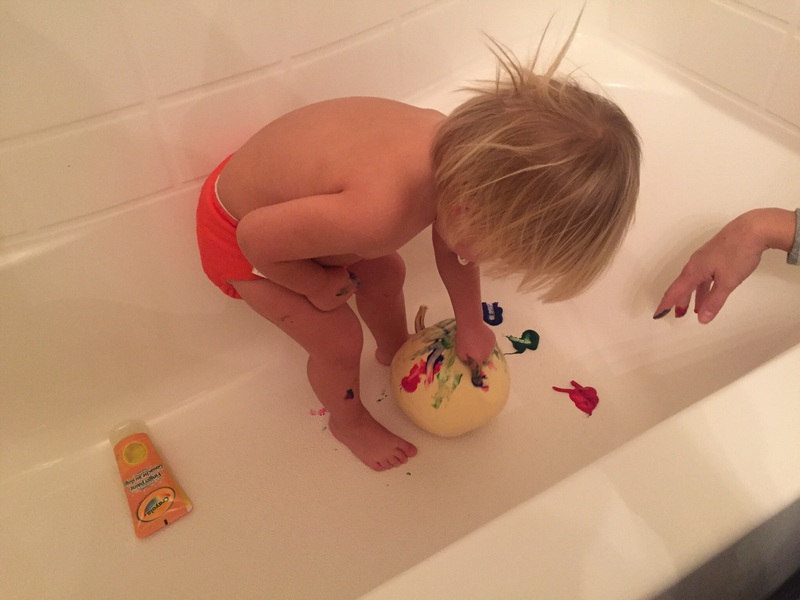 We stuck Eli in the tub with finger paints and a pumpkin and just let him go to town. It was adorable to watch and now all he wants to do is finger paint everyday. Halloween is one of my favorite days of the year. I love costumes and playing with different characters. This year, we had a costume party to go to and trick treating, meaning two costumes! However we ended up not getting dressed up for the costume party so Buzz and Jessie have been shelved for next year. 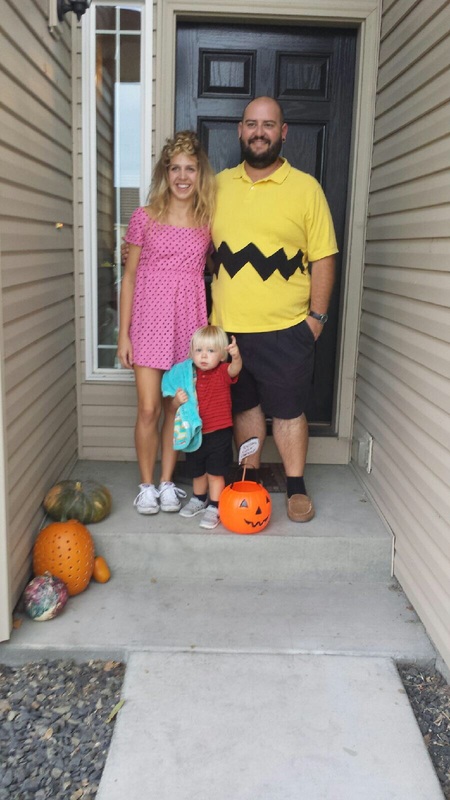 We ended up as Charlie Brown, Sally Brown and Linus Van Pelt from the Peanuts movie The Great Pumpkin. Super easy costumes and it enabled Eli to carry around his beloved blanky that never leaves his side anyway! We only did about 10 houses for trick treating, I feel a little ridiculous bringing my child that can’t even say “trick or treat” to go beg for candy all around the neighborhood. He may not have totally gotten the concept of trick or treating, but he loved getting to meet everyone that opened their door, looking at everybody else’s costumes and playing with all the decorations. I have never gotten to be home to hand out candy and I have to say, probably the highlight for Eli and I! It was so much fun to watch all these excited little kids run up to the door and all look so cute with their costumes! Eli ran up to the door to “talk” to all the trick or treaters everytime the doorbell rang, too cute. I can’t get over how fun life is with Eli. 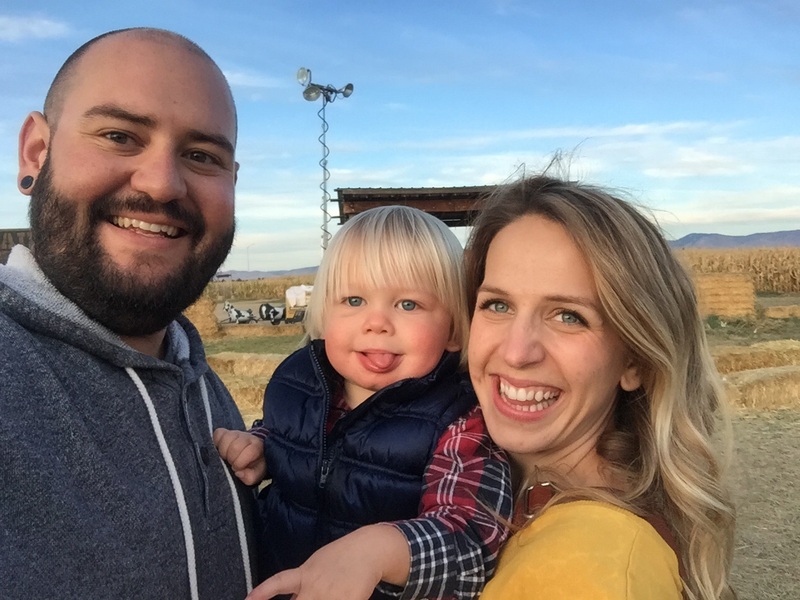 We have gotten so much family time in and I just can’t wait for all the fun things in store for us in the future, everyday just gets better and better.